The Pressure Vessel Definition article provides you the definition and boundaries of pressure vessel based API code and ASME Code. 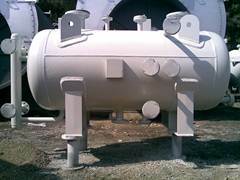 Based on the ASME Code Section VIII, pressure vessels are containers for the containment of pressure, either internal or external. This pressure may be obtained from an external source or by the application of heat from a direct or indirect source, or any combination thereof. The ASME Code is a construction code for pressure vessels and contains mandatory requirements, specific prohibitions and non-mandatory guidance for pressure vessel materials, design, fabrication, examination, inspection, testing, and certification. 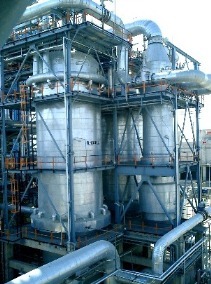 What is API Code Definition from Pressure Vessel ? Contrary of ASME Code Sec VIII, which was developed for construction, the API STD 510 covers the in-service inspection, repair, alteration, and rerating activities for pressure vessels. This inspection code applies to all refining and chemical process vessels that have been placed in service. What is the API STD 510 coverage? Non-standard vessels—A vessel fabricated to a recognized construction code but has lost its nameplate or stamping.